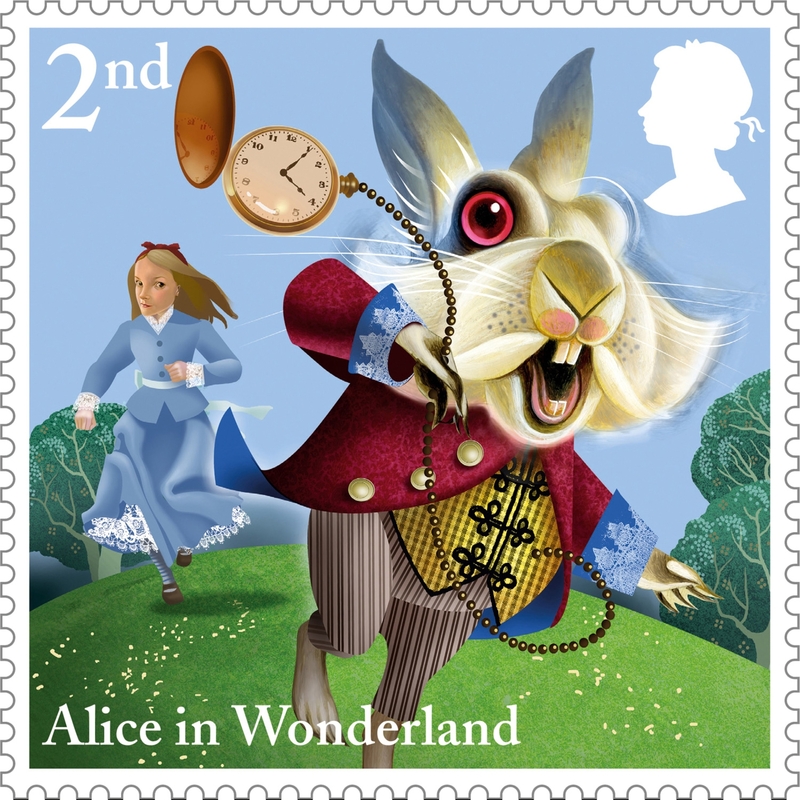 The UK’s Royal Mail service is celebrating the 150th anniversary of the publication of Alice’s Adventures in Wonderland with a set of postage stamps depicting scenes from the book. 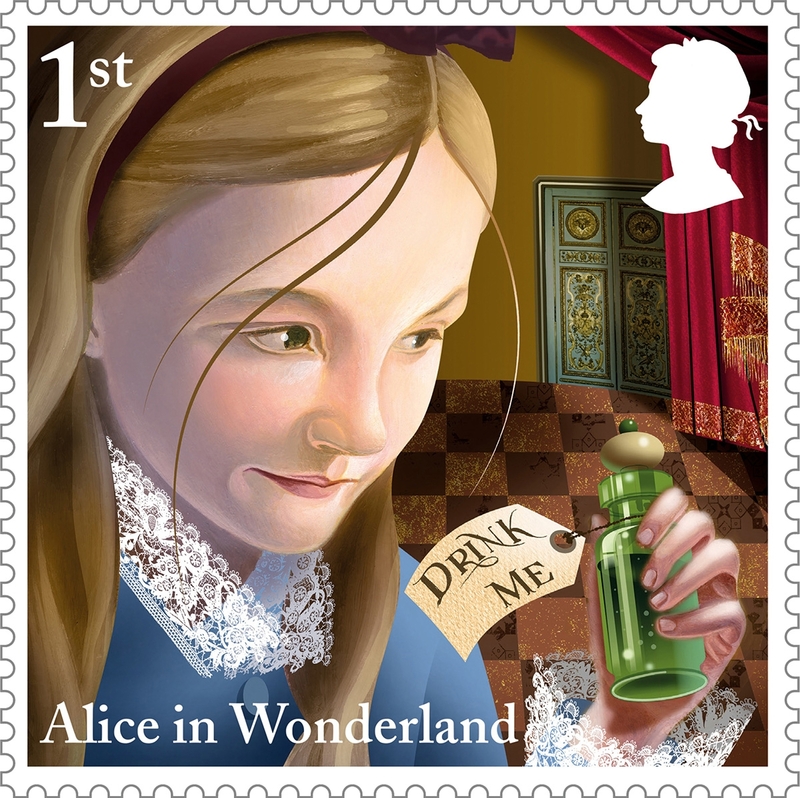 An updated take on the story is presented in a series of 10 individual stamps by award-winning illustrator Grahame Baker-Smith, with the updated images of Alice based on his daughter. The White Rabbit, the Cheshire Cat and other famous images are also part of the collection. Popularly known as Alice in Wonderland, the original story was conceived in 1862 by Charles Lutwidge Dodgson, a teacher at Christ Church in Oxford, to entertain children on a boat trip. Three years later, the story was published under Dodgson’s pseudonym, Lewis Carroll. 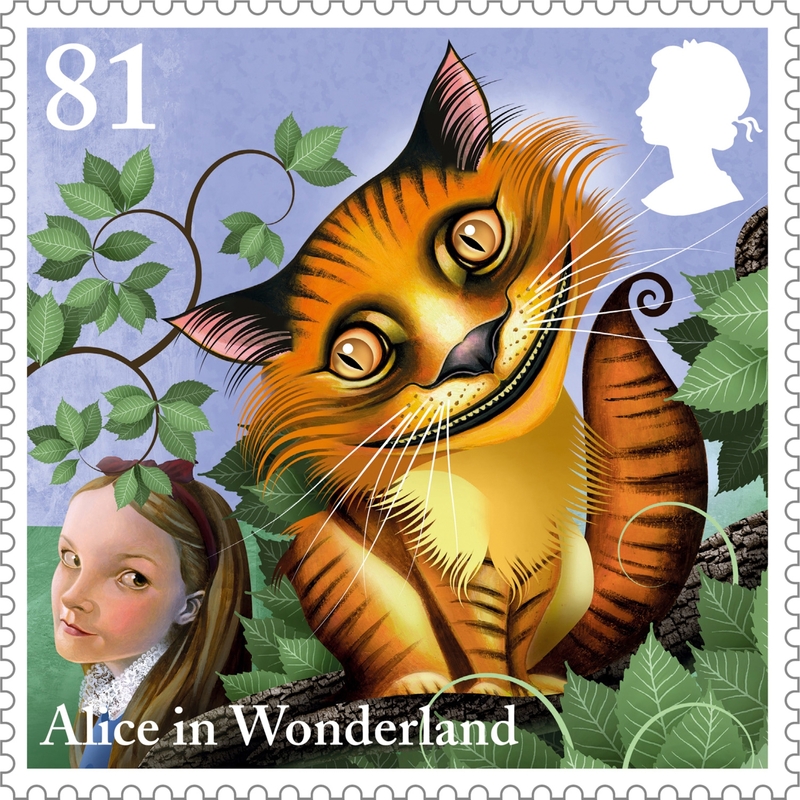 In addition to the stamps, the British mail service also collaborated with children’s book publisher Walker Books to create a three-dimensional gift edition book with fold-out pages based on the stamp artwork, including excerpts from the original book. The stamps, as well as an assortment of other items derived from the stamp art — such as framed prints, pins, stamp book, presentation pack, stamp cards and more — are on sale now and available online, by phone and at post offices throughout the UK. And, just in case you were wondering, Her Majesty the Queen approves all UK stamp designs before they are printed.